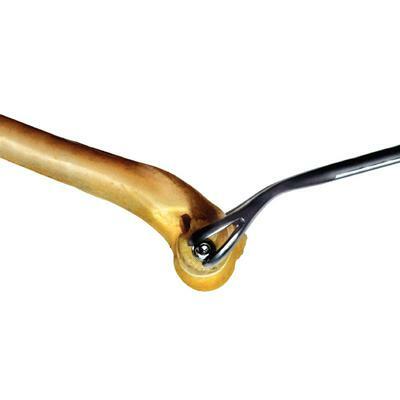 Single pointed reduction forceps typically apply pressure at the exact point where it is desirable to place an implant. Splitting the tips allows implants to be placed at the ideal position (e.g., repair of lateral condoyle fractures). 6-1/2" L.